I everyone! I have done many different researches trying to figure out what kind of sks that I have. At first I thought that it was a SKS M but after doing a more in depth investigation im now not sure. Things i know, it is a 1976/77 rifle, it is from the 6601 arsenal, it has a number 3 rear leaf sight, and that it is a type 56 rifle. 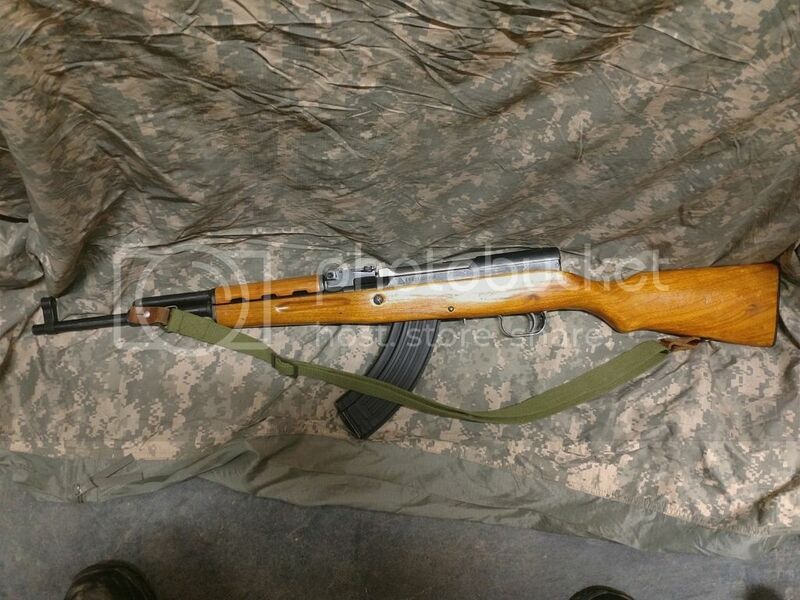 It used to have the monty carlo stock but it was damaged and thrown out abd replaced with a russian sks stock. Any info will help greatly! Another thing is that the SKS D came with a 30 rd. AK mag. while the SKS M came with a standard 10 rd. detachable mag. When I originally got it it had the 10 round mag. As for the mag release is like that of a normal sks. I bought a couple of the 30 round mags and sold the 10 round mag. Would it be worth trying to find another 10 round with a good condition Monty Carlo stock? 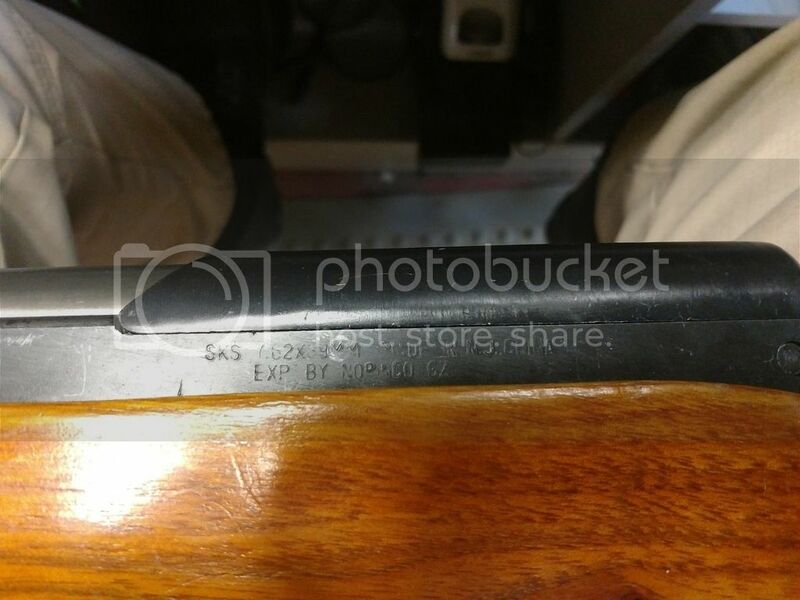 SKS-M uses AK mags with AK style mag release, 16.5" shortend barrel, a neutered bayonet lug, and date specific serial number (93 or 94 prefixes). 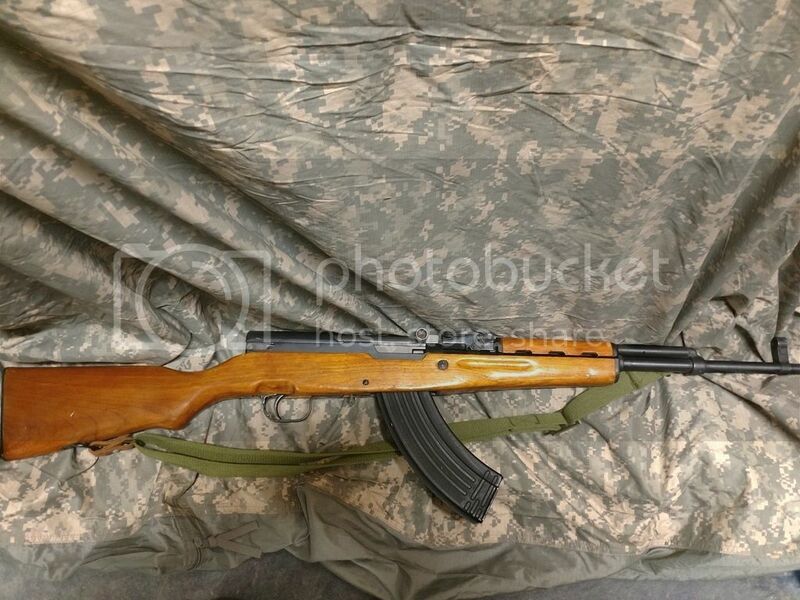 This looks like a standard pre-ban, Type56 with an aftermarket, duckbill hi-cap magazine. 1976 triangle arsenal guns will have a serial number beginning with 21. 1977 triangle serials will begin with 22.